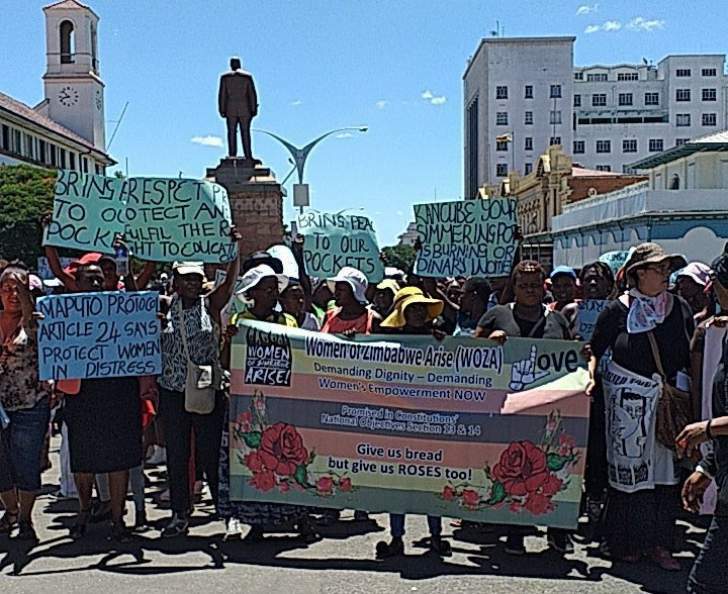 1600 members of Women of Zimbabwe Arise on Friday took to the streets in Bulawayo to protest against the challenges they are facing because of the government policies. The march marked the commemoration of the International Women's Day. Speaking about the event WOZA Director Jenny Williams said, "Women are coming together to share their views of the negative effects on their lives by austerity measure imposed by Government upon the shoulders of the poor." "Remember when the Zimbabwe Minister of Finance opened the simmering pot? It's burning the women on Zimbabwe now. We want action." Williams added.